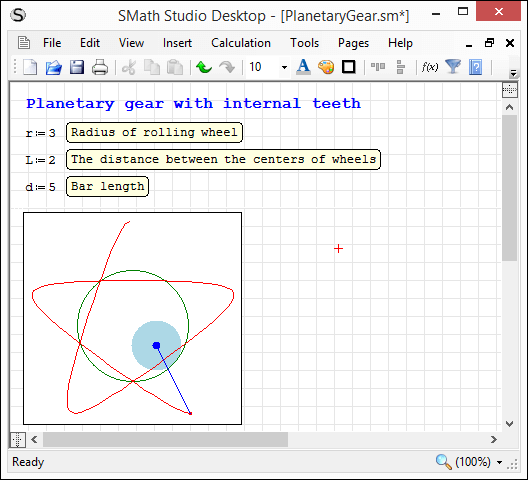 New Beta SMath Studio 0.99.6654 is available! 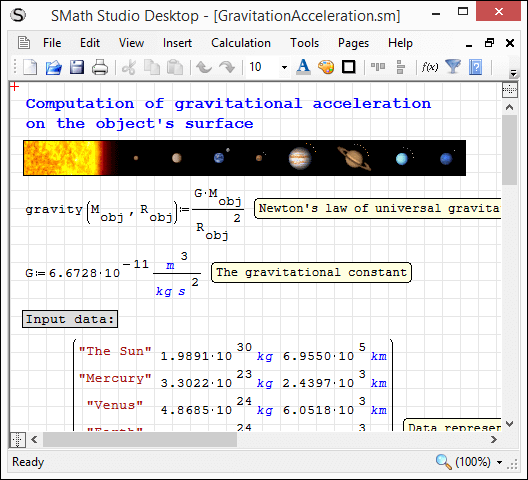 Added ability to install plug-in using drag'n'drop of downloaded zip-archive into SMath Studio window. SS-3519: German units names translations updated. The behaviour of loops with second value seems to have improved. Is this generally fixed or just by chance? The red marked block is so long, that it reaches the top of following page. 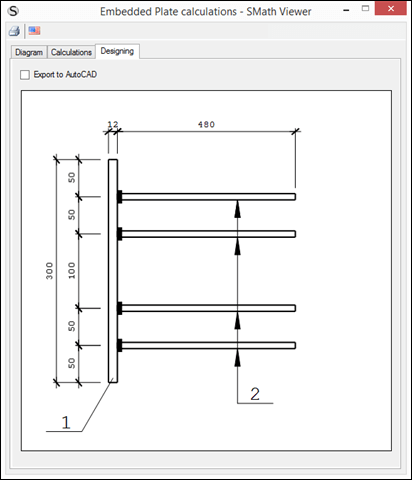 As you can see in the preview window, the sheet content is not printed. Page 2 starts after the page brake with "Biegedrillknicken" when "Printing Bounds" is used. While using "Pages view", the first printed page looks the same (mostly white) but the second page starts with the skipped content "System l=5,00m..."
Setting the font size only of the large block to something smaller so the bottom of it doesn't reach the page brake solves this issue. When you put the cursor in the description and edit the text, a matching variable in the input data is edited simultaneously. Not clear w/o the document. Maybe the problem is the construction ? Document would surely help volunteers. Pagebrake.sm (71kb) downloaded 34 time(s). The long page brakes are not in the attachment ! We are here in the "RC2: 0.99.6654"-thread. So I thought it would be clearly that I refer to 0.99.6654. Take a look at the video (screen capture) if you don't believe what I am writing. 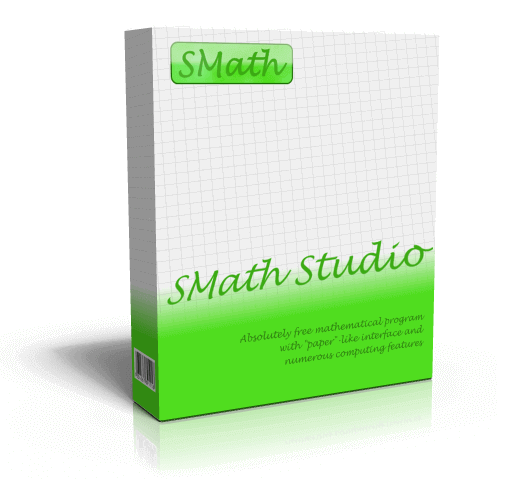 SMath Studio - [Pagebrake.sm] 27.03.2018 15_58_31.mp4 (2,913kb) downloaded 26 time(s). 1 user thanked MarB for this useful post. more collab to check that particular issue or similar problem. Nobody reported this bug, if it is an Smath bug. The document is linked in post #7. And the screen capture in post #9. Can repeat both bugs with the provided file on 6654. Oddly enough I was able to enter a description sometimes without effecting the data field if I first clicked within the data field, then immediately clicked the description field. This only worked occasionally and seemed dependent on where I clicked within the data field. Bug/NObug ... pretty strange, whatever. 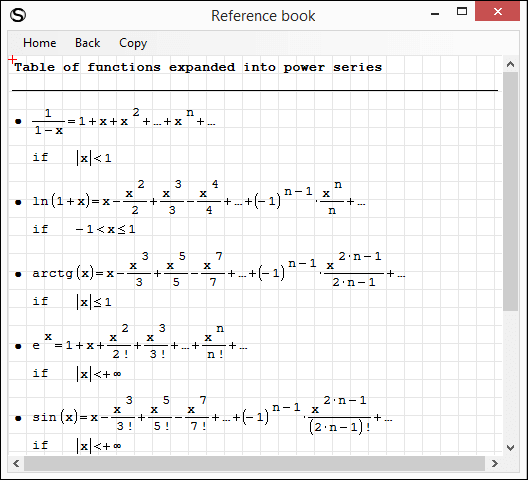 if(a,b,x):=fnct(a,b,x) ... if NOT allowed. Quick tip to get rid of "sometimes without effecting the data field"
2. once finished the description, zap the fake letters. To avoid "shadow in the context" I uploaded a very clean sheet (#7) which shows exactly the behaviour I described. Really don't know why I should want to define 'if' myself. No bug from [#7], nobody else reported. Thank you! Both issues are reproduced and will be fixed asap. Was not my goal. Looks like some refactoring might helped. but needs be distinguished by some invention. 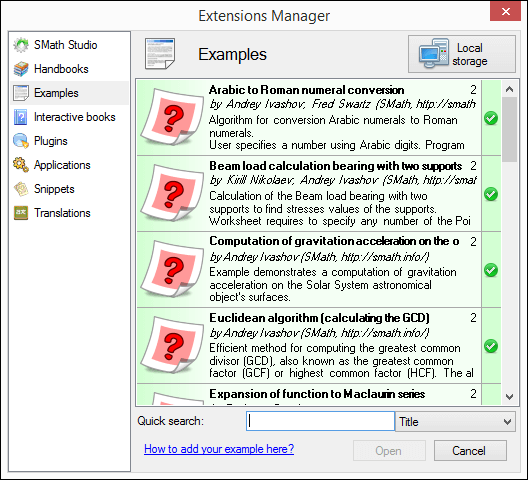 Are you doing something wrong or bug wrt your Smath version?